For a decade or more, meeting and trade show organizers have been looking for ways to get beyond logo soup. You’ve seen it before, possibly even at your own event: programs and signage with branding from two or three dozen sponsors or lead exhibitors, all competing for the very limited time, attention, and interest participants can devote to what amounts to highly-paid advertising. Which means your definition of short-term financial success almost guarantees your sponsors that their messages and branding will be lost in the crowd. Not exactly the way to express your commitment to a long-term partnership, or to spur their interest in a multi-year deal. Jeff Hurt, Executive Vice President, Education and Engagement at Velvet Chainsaw Consulting, described the problem in a recent blog post. “Logos hanging from the ceiling at the trade show. Ads covering windows, elevator doors, and escalator ramps. 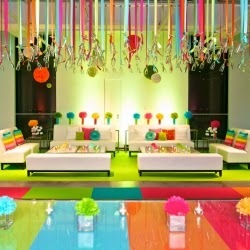 Symbols, signs, and emblems stuck to the floor, carpet, and wrapping columns. Logos on lanyards, room keys, and conference bags." Delivering lasting value for participants. Click here for more on the Engaging Associations Summit, July 24-25, 2014 in Ottawa. Audience members have moved to the front and centre of association and event marketing, with a new generation of communicators deploying a powerful set of techniques for defining, segmenting, understanding, and reaching the unique, often demanding individuals in your membership. From inbound marketing to outbound email, from blogging to social networking, an explosion of new tools is changing the way the most innovative marketers think about and practice their craft. At the Engaging Associations Summit in July, you’ll get a first-hand look at emerging marketing philosophies that point toward a more open, balanced relationship between associations and their members, participants, prospects, and other stakeholders. Panelist Rachel Stephan, Principal of sensov/ event marketing, urges clients to check all their assumptions before launching a campaign, beginning with how and where a target audience congregates and which platforms they use to communicate. “You certainly don’t want to market to an audience where they can’t be found!” she states on the sensov/ website. “To figure out which sites you should use and how, audience mapping will allow you to determine your best course of action” for any organization or event. For panelist Jeff Hurt, Dallas-based Executive Vice President, Education and Engagement at Velvet Chainsaw Consulting, a crucial step in effective marketing is to recognize that the audience is in charge. “Audiences are not owned,” he wrote in a recent blog post. “We like, follow, and subscribe to brands, organizations, and people…when it brings us something of value, saves us money, or provides timely content.” That dynamic has shifted the emphasis from traditional media and advertising to a constant commitment to building loyal audiences. Hurt cited six key audience types defined by author Jeffrey Rohrs: Seekers, Amplifiers, Joiners, and three categories of “VIP Joiners”: Subscribers, Fans, and Followers. One challenge for conferences, he said, is to turn Seekers and Amplifiers into VIP Joiners who commit more deeply to an organization or an event. Panelist Mitchell Beer, President of Smarter Shift, focuses much of his work on “narrowcasting” specialized messages to small but influential target audiences. Many organizations “have important stories to tell. 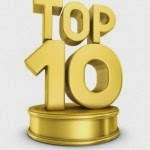 Their target audiences are usually policy-makers or other subject specialists, not a wide group of consumers,” he wrote. “To have an impact, they have to deliver their content and messaging above the lowest common denominator, at a level of detail and complexity that conventional marketing usually avoids. Stephan, Hurt, and Beer will talk about association marketing and communications at the Engaging Associations Summit, July 24-25, 2014 in Ottawa. Click here for details. Be a Part of Something NEW: This is a new event, produced by Greenfield Services. We did not create this on our own; focus groups were conducted, and we joined forces with Smarter Shift, sensov/, Lou Lou Lounge and AV-Canada to get it in production! Our goal is to facilitate a change in the way associations operate. Conversations: While we have set sessions, our promise to you is that you will not sit in a meeting room all day listening to the speaker. Participants will be asked to share, question, and challenge what is being said to ensure that all knowledge and experience is shared throughout the summit. Less Time Away: Taking place all day July 24th, and just over a half day on the 25th, we are creating an experience that ensures you are taking as little time away from the office as possible; AND that you can get away for a bit of a long weekend at the end! Engagement: There are always questions that don’t get asked; whether that is a lack of time, or a lack of comfort publically sharing. That’s OK here – we have extended the breaks and meal times to ensure that you have the time to speak with the facilitators, our partners, and your peers. As one focus group participant said, “Business is not conducted in the meeting room, it’s done in the hallway, and 15 minutes is simply not enough time”. Location, Location, Location: With the Summit taking place in Ottawa, ON; it is easy for association executives to get here, and it is central to many of the Canadian-based associations; which means lower costs for participating! Change: We all want to do things differently. But how do we get started? Learn from your peers, and industry experts, like Jeff Hurt, Jeff De Cagna, Meredith Low, and PCMA’s Chief Operating Officer, Sherrif Karamat. They will all be there to ensure that their expertise is shared. Unique Approach: We are committed to presenting this in a way you have not experienced before. 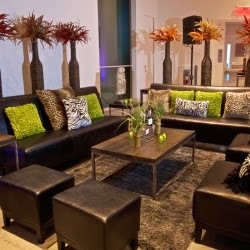 We selected the Canadian Museum of Nature of host this event, as it is a creative and historic building. It changes our expectations; and has allowed us to utilize the expertise of AV-Canada & Lou Lou Lounge to create an environment that is modern, fun, relaxing, and that fosters the conversations we need to have. Action: With each session delivered, you will receive key takeaways from the facilitators, and we will be providing a forum to share your “A-ha!” moments; little snippets of information that you would like to use in your daily work life. We will be reporting back to all participants with session summaries, case studies, etc. Network with Partners who GET IT: Those who have chosen to partner with us truly understand that change is required to ensure associations thrive in the future. We will have a select group of partners joining us – our commitment is to present to you quality companies to have conversations with, and not overwhelm you with too many of them. Businesses who have not officially partnered with us will not be in attendance. Cost: We have chosen to keep this Summit affordable for all – and at a rate of $329 plus tax, you cannot beat the education that you will receive! It’s the million-dollar question in association management. In an era when member priorities are shifting, generational expectations vary widely, and anyone with a free Internet connection can get the benefits that used to come with paid association membership, what’s the future of member engagement? At the Engaging Associations Summit in July, you’ll get a C-level view of this existential challenge from an organization that has done a great job of measuring member engagement, then using that market intelligence to build commitment in its target audience and sustain revenues. The Professional Convention Management Association (PCMA) represents association meeting professionals who were hit hard by the economic downturn, and have long fought an uphill battle to demonstrate strategic value in the organizations that employ them. 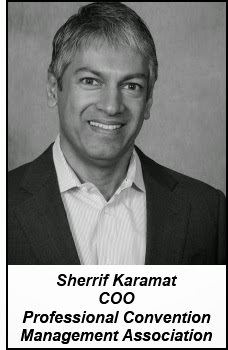 PCMA Chief Operating Officer Sherrif Karamat, a 20-year veteran of the meeting and convention industry, oversees all the organization’s revenue streams. So he has a keen interest in PCMA’s financial sustainability, and a clear view of what it takes to keep associations strong and successful. What are your organization’s top three challenges when it comes to member engagement? Are you currently working toward a plan for engaging younger members, or do you already have one in place? How frequently do you follow members and other stakeholders on key social media platforms? What percentage of your members participate on your public social networks? What is the level of your members’ engagement with different association products and services? Are you looking at emerging membership models to customize the experience and attract new members? Click here for more information on the Engaging Associations Summit, July 24-25, 2014 at the Canadian Museum of Nature in Ottawa. Alexandria, ON, June 6, 2014 – Greenfield Services is pleased to announce its partnership with Marriott International for the first annual Engaging Associations Summit. Taking place in Ottawa on July 24-25, 2014, this event will be just enough time away from the office to exchange top-level ideas, including strategy, marketing & communications, events, engagement, sponsorship and technology. We are THRILLED that Marriott International believes in the evolution of face-to-face meetings, and have partnered with us for this event! 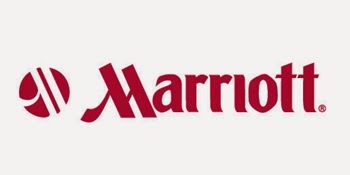 Marriott International, Inc. is a leading hospitality company with more than 3,900 properties, 18 brands, and associates at their headquarters, managed and franchised properties around the world. For more information on Marriott International, please contact Lorie Blackwell, Director National Accounts and Business Development, Global Sales at 416-569-5372. 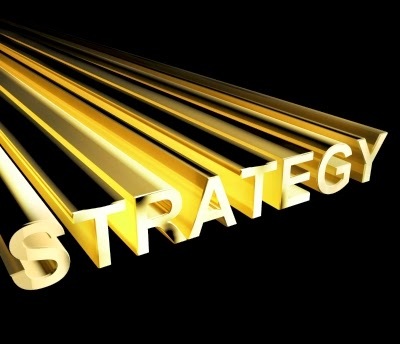 Shouldn't a strategic plan actually include a strategy? Imagine we were going to sit down and take a look at the strategic plans of, say, 10 associations we know well. Would we be able to match the plan to the organization? Let’s first note the difference between a strategy and a strategic plan. The strategy answers the question of how you are going to succeed. What choices are you going to make to achieve your mission? Strategy represents a set of decisions. The strategic plan is just a tool, the document that captures those decisions, with their nuances and implications. The plan is a tool, but it’s not the decision-making itself. The organization lacks strategic capabilities, whether among the board, the staff, or both. Strategic planning remains at the operational/tactical level where the team is more adept and comfortable. There are internal political issues which mean the strategic issues don’t get fully discussed, or agreement isn’t reached. Vague strategic language may be used as a compromise, which really just kicks the can of resolving the political issues down the road. Insufficient time was allotted to the strategic planning process, or decision fatigue set in, so the strategic plan was rushed to completion. Now, if the strategic plan lacks sufficient clarity to really articulate an actual strategy, what does it really matter? Surely you will just get on with implementation and figure it out somehow. And the answer is yes, you will implement something or other, but it’s certainly not going to be a strategy that you can clearly evaluate, measure, or adapt. And the wrong people will be making strategic decisions. Your staff and volunteers will make day-to-day decisions about how the association does business, but they won’t be executing on an aligned strategy, with the risk they are investing in the wrong activities and paying attention to the wrong things. There may be a strain on your senior staff as they try to guess the intentions behind the vague strategic statements. Strategy is about choice, and about action – associations need to make these choices clearly and explicitly, execute on them effectively, and communicate them purposefully. A strong strategic statement should correspond to the actual situation you face, be identifiable and executable, and be subject to scrutiny through measurement as to whether the strategy was effective. Without those features, it’s not really a strategy. It’s just words on a page. They may have cost a lot in time and money to write (and which may be called a strategic plan), but which will not realize the value that a real strategy can create for a committed organization. So, how does your strategy hold up to scrutiny? I’m looking forward to discussing these topics at the Engaging Associations Summit on July 24-25 – hope to see you there. In the last few years, event organizers have begun to realize that the surroundings where people meet can shape the results they eventually produce. The principle applies to our everyday work surroundings—we know that most people hate cubicle farms and crave natural light, and there’s evidence that comfortable, energy-efficient buildings pay back their extra cost in higher productivity and fewer sick days. are often high? More and more organizers are realizing that décor and furniture, scents and sounds can help create a conducive atmosphere for transformative results. Meetings face an additional challenge, though: with constant, ferocious attention to every expense, décor designers have to deliver solutions that are elegant, inspiring, and affordable. It’s a tough balance. 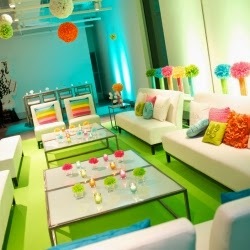 That’s why the Engaging Associations Summit reached out to LouLou Lounge Furniture Rental to create a meeting space that demonstrates the value of smart, deliberate décor design…without breaking the bank. “We knew this was an important element of our event,” said Meagan Rockett, Greenfield’s Director of Client Services. Click here for more information, and register for the 2014 Engaging Associations Summit while space is available! Photos Courtesy of Carole Saad, LouLou Lounge.